COPPA compliance for all major app platforms. AgeCheq solves all of the problems associated with making your apps & games compliant with COPPA law. We give you a simple API, with SDKs for iOS, Android, HTML5 and all other major platforms. Drop our library in, test, and post to the app stores in a single day. 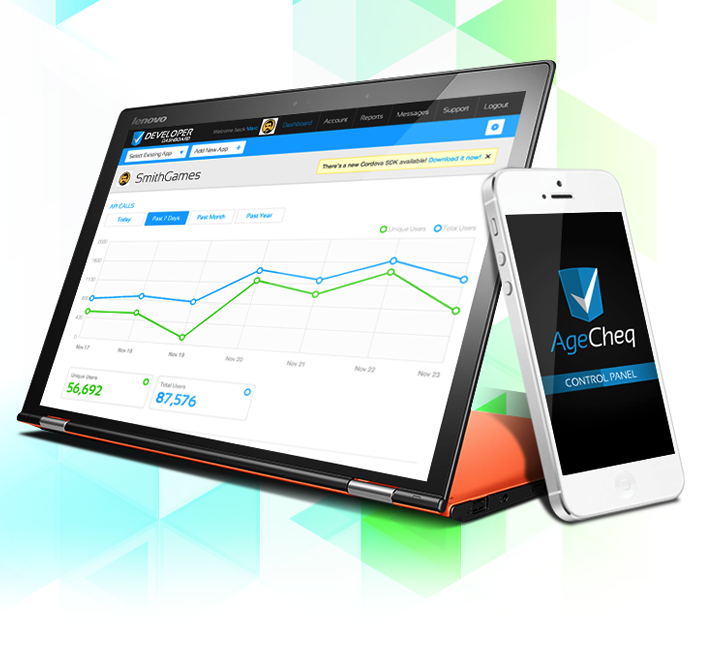 An AgeCheq Developer account will allow you to add COPPA compliance to your mobile app or website. If your audience includes the European Union, you should be considering complying with the EU General Data Protection Regulation (known as GDPR). Our ConsentCheq service provides compliance with both COPPA and GDPR with a single integration. If you are only concerned with the US COPPA compliance, enter your email and company below and one of our support team will contact you shortly. Enter your email address below, and we will send password reset instructions. Thanks for verifying your email address! You may now log in to the Developer Dashboard. Before using the AgeCheq Developer Dashboard, you must verify your email address. An email was sent when you created your account. Click below to send the email again.